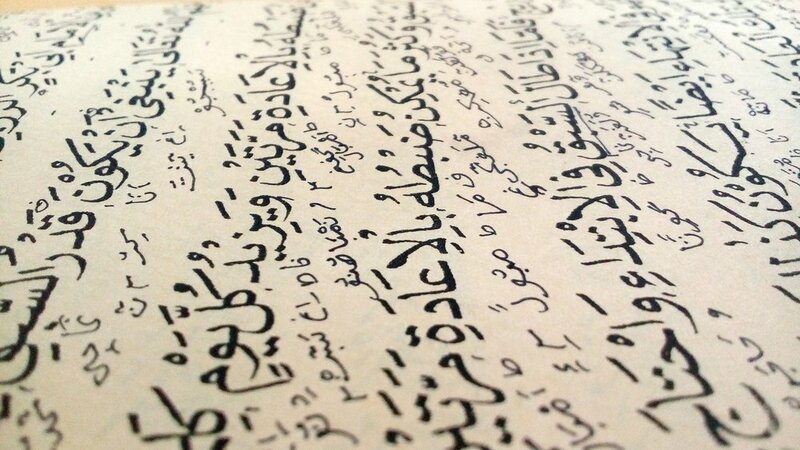 However, there is one thing EVERYONE should understand about Arabic and with this little bit of knowledge you have a key to understanding some of the phrases you hear in the news and other commentary about Muslims and Islam. Every word has what is referred to as three (sometimes four) ROOT letters. These letters have a basic general meaning. Then you add various letters before, in between the root letters, at the end and you add vowels (above and below). A word is crafted with a specific meaning and a core ROOT meaning. I think anyone would admit linguistically and in terms of poetic potential that is kind of cool. This linguistic gem does make a minefield for a person newly starting to learn Arabic because you suddenly start to realise you are hearing lots of very similar sounding words all slightly different so you always feel unsure if you have understood correctly or not. It takes some time to understand how the language works, learn all the various variations and then to confidently understand what is being said. "Ayn" pronounced a bit like a throaty "A"
"Lam" like the English letter "L"
"Mim" like the English letter "m"
"Sad" like an "s" but with the tongue on the roof of the mouth and more flat sounding, almost like a "dh". Not a "sss"
muSLiM - a Muslim, therefore what is being expressed is that a person who is a Muslim is one in a state of peace. This can be spiritually/ internally, at peace with god, at peace mentally and also indicates a physical state of peace. SaLaaM - how Muslims greet each other, with peace. Who says the hippies were ahead of their time when they started to greet each other with the word "peace"? Muslims had been doing it for years! iSLaaM - as in the Religion. The Religion is called Islam because this is the method or way a person can follow to attain what? Why peace of course! "Dhal" like the English letter "d"
"Ra" like the English letter "r" but it is usually rolled. "S" like the English letter "s"
maDRaSa - school. Now it sounds much less scary when you call it a "school" rather than a "Madrassa"... right?